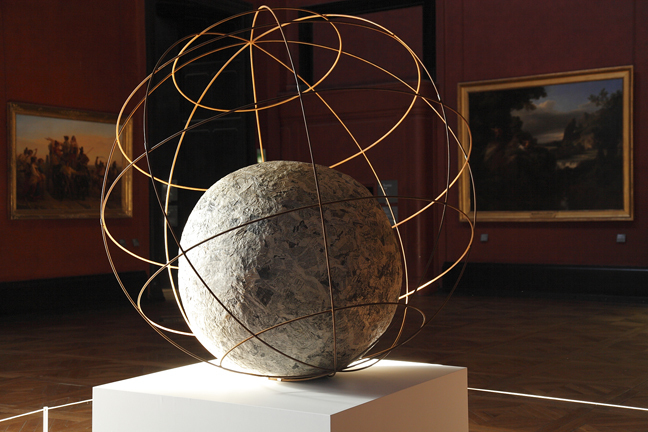 The Louvre has invited the Italian contemporary artist Michelangelo Pistoletto (Biella, 1933) to show his works in three of the museum’s departments: the Greco-Roman sculpture rooms, the Italian Painting collections, the Medieval Louvre and also in the cour Marly. Panel discussions, a theatre production and performances are also programmed in the auditorium and the Tuileries gardens. Year 1: Earthly Paradise. This title refers to our entry into a new era, the Third Paradise, which the artist symbolises by a reconfiguration of the mathematical infinity sign. The first paradise being that of nature, the second that of artifice, and the third symbolising the union of both. 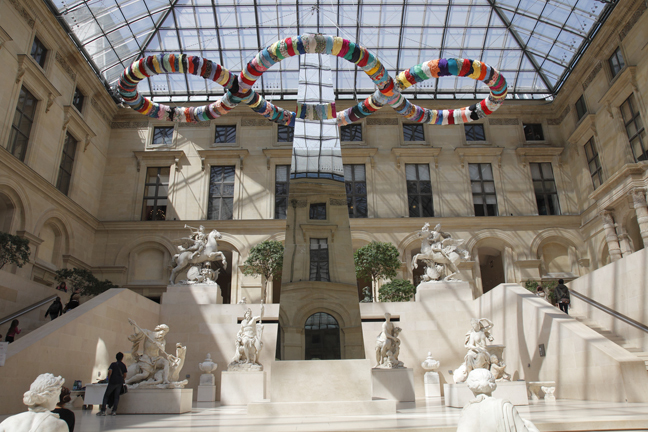 Michelangelo Pistoletto, whose works always explore the question of temporality, past, present and future, is establishing a dialogue in the Louvre’s collections between his contemporary creations and the masterpieces of the past. 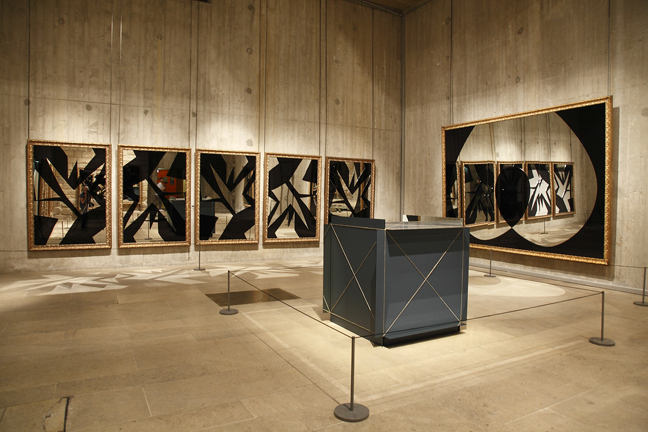 He is showing his Mirror Paintings, painted or photographed silhouettes affixed to sheets of highly polished stainless steel, sculptures and recent installations, notably addressing the subject of religion (Il Tempo del Giudizio), and the Third Paradise (Obelisco e Terzo Paradiso) in a new production created for the Louvre. 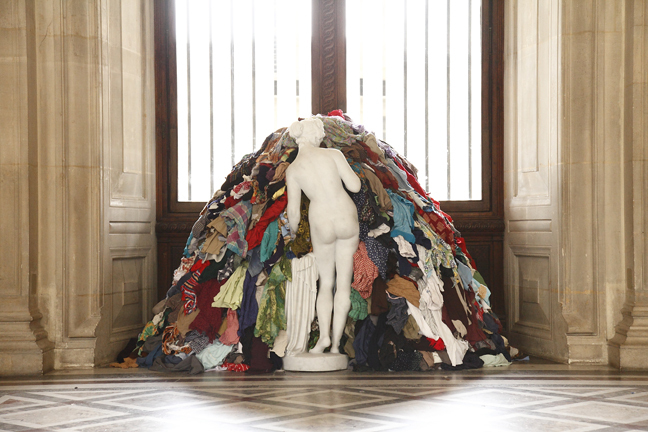 In the 1960s Michelangelo Pistoletto took an active part in the Arte Povera movement. In 1998 he created Cittadellarte, a foundation housed in a disused factory at Biella in Italy, where he has brought together a variety of artistic and socio-economic disciplines to rethink the relationships between art and society.